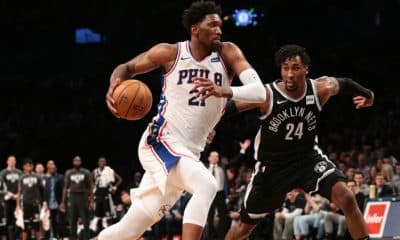 With Joel Embiid’s injury status still undetermined for the 1st round, we won’t be touching on that series without more clarity. Breaking down some first round NBA Odds. It’s impossible to say enough about how this Portland team has responded after being thoroughly embarrassed in a first-round sweep by the Pelicans a year ago. 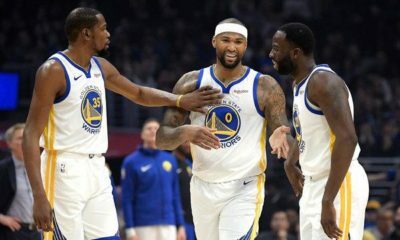 With a preseason win total set at 42, the consensus around this team was that they were not to be taken seriously ever again. Well, look where we are now. Damian Lillard has been incredible, the bench has come together nicely, and, despite a horrific injury to Jusuf Nurkic, this team is playing some of their best ball of the season heading into the playoffs. On its face, Portland having home court advantage and still being an underdog in this series is flat-out disrespectful. Portland’s mentality in this series is going to verge on scary. They felt the pain of last season’s sweep and aren’t willing to let that happen again. There is no chance that they go down in this series without a fight. Damian Lillard symbolizes leadership in the modern NBA and will drag this team on his shoulders to a couple wins if necessary. Dame knows he is better than what he showed in last year’s playoffs and is going to prove it in this series. As Dame himself would say, you know what time it is in Portland. While I think Portland has a clear edge in terms of intangibles — home-court advantage, coaching, depth, and motivation/hunger — there’s also a lot to like about this matchup for them. I, of course, understand that Portland got swept by OKC in the regular season and almost certainly tried to tank their way out of this matchup. But the matter of fact is that these are just two teams headed in completely opposite directions. Portland is playing their best ball of the year, while OKC is playing its worst. Let’s play a little game of compare and contrast. 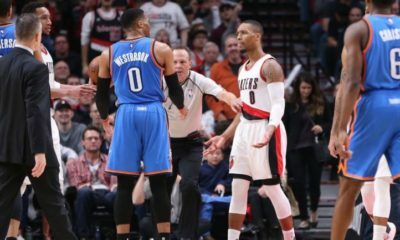 In the 25 games that each team played after the All-Star break, Portland was 2nd best in the league at 19-6, while OKC went 12-13 in that span. OKC is 23rd in Offensive Rating and 16th in Net Rating in that span; Portland is 1st and 4th, respectively. Portland is outscoring opponents by seven points per game in that same span, while OKC is being outscored by a point. 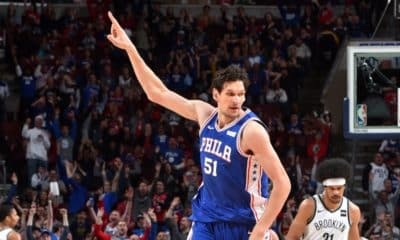 Home-court advantage means a heck of a lot in this series that will likely (hot take, I know) come down to which team’s role players make open threes. Ferguson/Grant/Schroeder vs. Aminu/Harkless/Hood 3-point shooting % will probably tell you who wins here. As the saying goes, role players excel at home and struggle on the road. In a series with a good chance of going 7, I like Portland having the ability to potentially go up 2-0 and/or have a 7th game in their own building, which will be absolutely rocking. What I see here is one team that discovered who it is over the course of the season and is starting to play its best basketball of the season, and another team that is feeling the pain of regression to the mean after a ridiculously hot shooting start to the season. With Paul George coming back to Earth, the mediocrity of 2019 Russell Westbrook carries more weight in the definition of this team. And while PG was playing unbelievably well in the beginning of the year, I’m shocked that the consensus seems to be he’s the best player in this series. 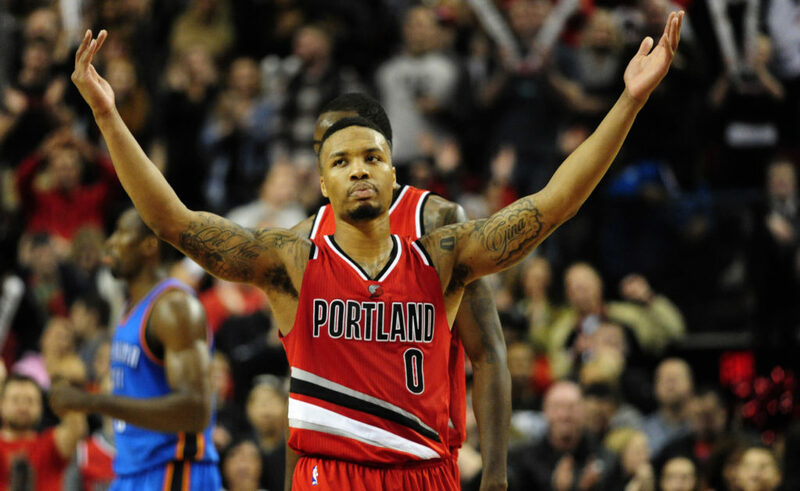 Damian Lillard is that guy, and he will be that guy in an absolute must-win series for this franchise. At the end of the day, getting Portland at plus-money here just feels like a steal given the context of last year’s sweep and the fact that these are two very different teams since the all-star break. This is another line that feels mis-priced and disrespectful to me. I understand it is this Denver group’s first time in the playoffs, but what do they have to do to get a little respect. This line opened at Denver -210, which was worth immediate attention. Now, after Denver has rightfully gotten some love in the marketplace, the price has climbed, so make sure you are shopping around to get the best number. For what it’s worth, I love this play all the way up to 3/1; that’s how much I like this matchup for Denver and how much I believe in their ability to get it done… youth, inexperience, and all. By almost any metric, the Nuggets are just solidly in a tier above the Spurs. They’re a few points better in point differential, a few points better in Net Rating, a little better defensively, etc. To me, this bet comes down to me being really confused as to why the Rockets are a bigger favorite to knock out the Jazz than the Nuggets are to beat the Spurs. In what world? Denver is the best home team in the NBA and is lights out in crunch-time there. While they haven’t been playing their best basketball of the season going into the playoffs, Coach Malone has been able to push the right buttons all season long and this team has consistently responded. If you’re the kind of person (like me) who looks at emotion/motivation a lot in handicapping games, this Nuggets team was very readable all year long. Almost on cue, they bounce back, they step up, or come out hot. They are young, but they will be ready. The Pepsi Center will be ROCKING for their first home playoff game since the Iguodala year. From the Spurs perspective, they’re just plain bad on the road. They’re 16-25 with a -3.5 point differential on the road. For a terrible-on-the-road team without Game 7 at home, I don’t see how they win this series without stealing Game 1 or Game 2. From a matchups perspective, I think Denver has the ability to really be a mad matchup for San Antonio. Between Millsap and Plumlee, Lamarcus Aldridge will be facing 48 minutes of elite post defense a night. He won’t be able to “get his” with the ease that usually solidifies the Spurs’ floor. Aldridge will have to grind for everything he gets, not only clogging an offensive safety valve but also making him expend extra energy that he needs to be an effective defender. Without a top-level scoring performance from Aldridge, the gap between these two teams widens. 1- and 2-seeds in the NBA rarely, rarely lose first round series. It makes sense; there’s a reason why there is that much room between two teams in the standings. I don’t think the Nuggets are some unique case where they don’t deserve to be here. The numbers and the quality of the roster agree with their record. Nikola Jokic is a good playoffs away from being a top-10 player in the league. That journey starts now. Denver is a certifiably better team than the Spurs are and getting the chance to lay less than 3 dollars on that opinion feels like a steal. If you’re picking San Antonio in this series, you’re paying a “great organization” premium to buy a team that’s at best pretty good right now. If you’re picking Denver, you’re getting a “they haven’t been here before” discount to buy a team that was an honest top-5 team in the league all year. Can’t pass up the value here on these NBA picks.